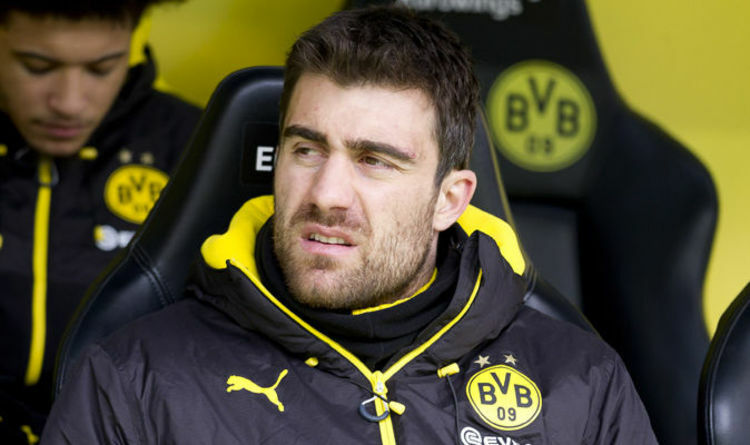 Manchester United, Chelsea and Arsenal have all had scouting reports on Papastathopoulos, 29, who is set to leave Borussia Dortmund this summer. But after Juve’s heart-breaking Champions League exit at the hands of Real Madrid, the Italian giants are determined to rebuild for next season. And Papastathopoulos, who has 12 months remaining on his current contract, is earmarked as Juventus’s new centre back with his £20million asking price easily affordable. United thought the price was right, too, with boss Mourinho seeing the Greek international as the perfect partner for Eric Bailly next season. But now the player signed by Liverpool manager Jurgen Klopp in 2013 when he was at Dortmund looks like he’s heading to Italian football. Juve lead Napoli at the top of Serie A by four points and face Maurizio Sarri’s side in a monumental clash which could decide the destination of the title next Sunday. But despite nearing a seventh successive top-flight triumph, first-choice centre-back duo Giorgio Chiellini and Andrea Barzagli, at 33 and 36, are in the twilight of their careers. Mehdi Benatia, who gave away the penalty that saw Juve fall to Real in mid-week, and Daniele Rugani have only enjoyed back-up roles for the Old Lady this term. And loanee Benedikt Howedes has struggled with injury and will not be signed permanently, with Sokratis viewed as the man to come in and provide a much-needed fresh option. 7 Takeaways From the Airstrikes on Syria Could Avengers: Infinity War Outgross Star Wars: The Force Awakens?